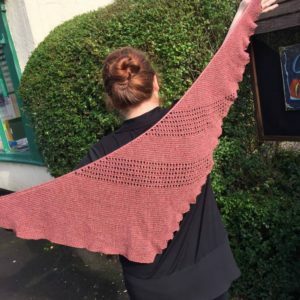 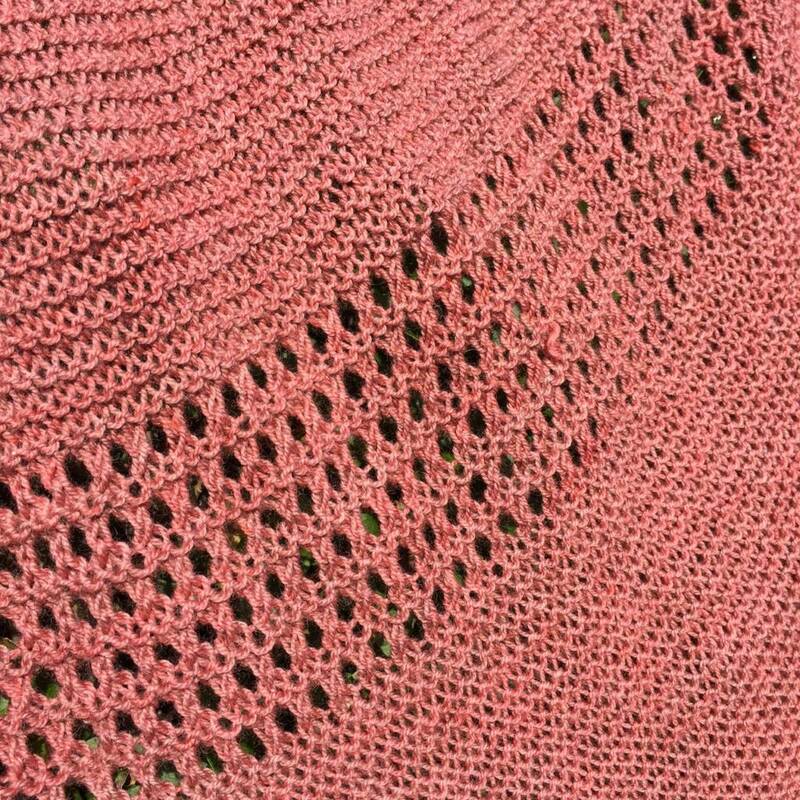 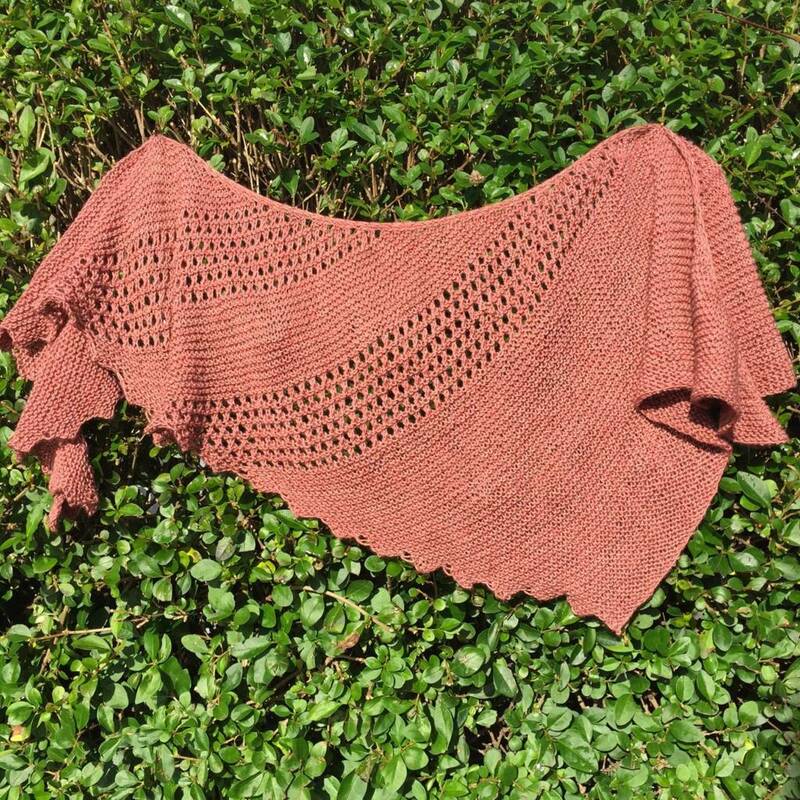 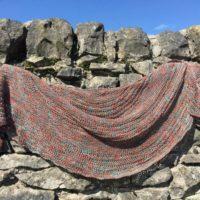 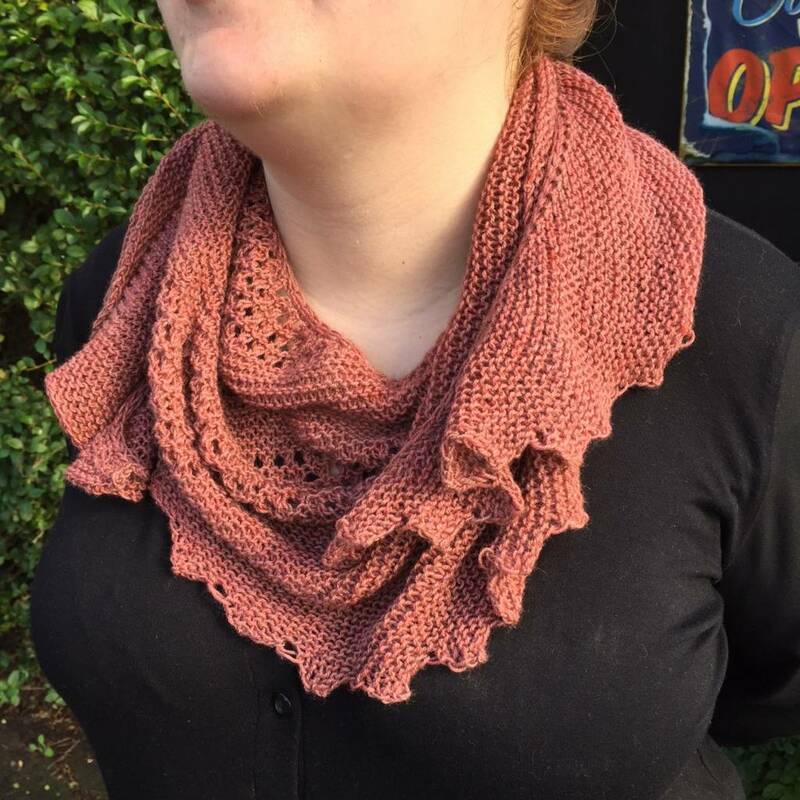 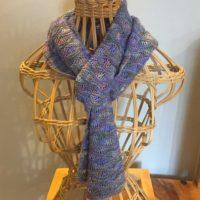 A versatile shawl-ette pattern which uses a single 100g skein of hand dyed yarn. 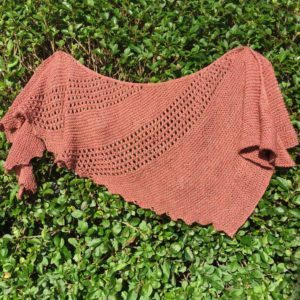 This shawl is asymmetric in shape, and features a series of points along one side. 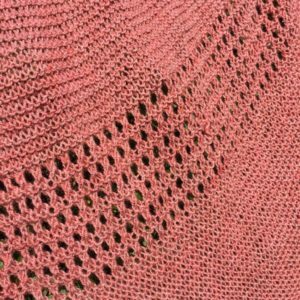 The lacy pattern is very straight forward – simple yarnovers – so is suitable for beginners. 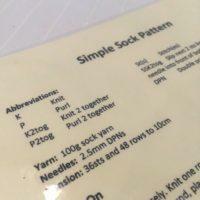 Any blend of 4-ply will do – but it works particularly well for silk-blend yarns. 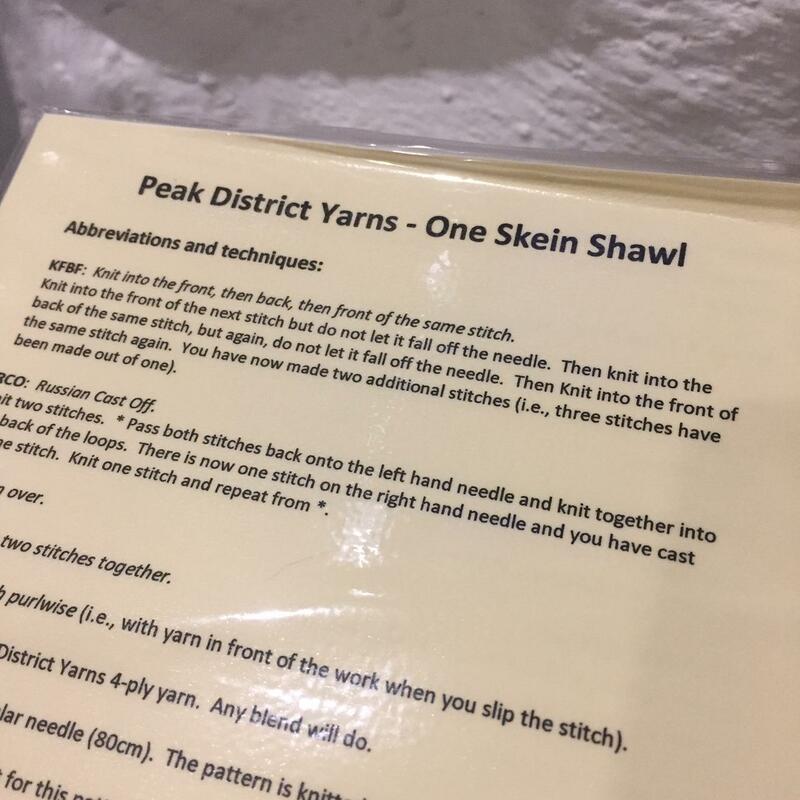 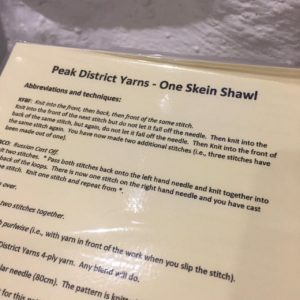 One 100g skein is required, and 4mm needles (circular needles used as straights are the best, as you end up with a large number of stitches towards the end.